They indeed used to have quartz dishes but now its all 28 mm SiC dishes for Vrod only (either NV or D-nail both available from NV). I don't think anybody really wanted quartz compared to SiC. You may be able to source quartz dishes that will fit from other vendors but you would need to confirm O.D. of 28mm and the O.D. of the hole in the middle (and I don't know that dimension). I have a SH but I do NOT like dabbing off of Ti...just doesn't taste very good to me. But, my SH is for flower only so no problemo and I use other enails for dabs. I shall go in search of the meaning of SiC I know sort of what it references but pretty vague knowlege. Silicon Carbide ... type of ceramic-like insert on top of the Ti, with great heat transfer and taste. Only thing I've used cleaner (maybe but just barely) is the Obsidian of the Liger or Sapphire on the Dnail. Exactly but I do believe that the "Obsidian" is a high polished version of SiC of some sort. But I do know it cleans up better than any surface I have used...stuff just lifts up with a drop of distilled water on a 200 F dab surface. Sapphire I have not used as I'm not going to pay that kind of money for a dish that will often (and has often) cracked. $300 for what? What is your ideal temp to run the Vrod at for maximum flavor? @VapeCritic flowerpot or herborizer flavor and potency? Both excellent and about the same or do you find one more flavorful more potent than the other? Got my flowerpot on Friday and am totally blown away by it, even with the high expectations that I had for it. How efficient it is while giving huge and tasty hits is amazing. Still getting the temp to where I like it, and I have yet to test out the SiC dish, but I now understand all the love around this thing. Thanks to everyone of here confirming that this thing is worth the buy in! @VapeCritic i’m on the list for the g43 and can’t wait to try it. I think I’m somewhere around 180. 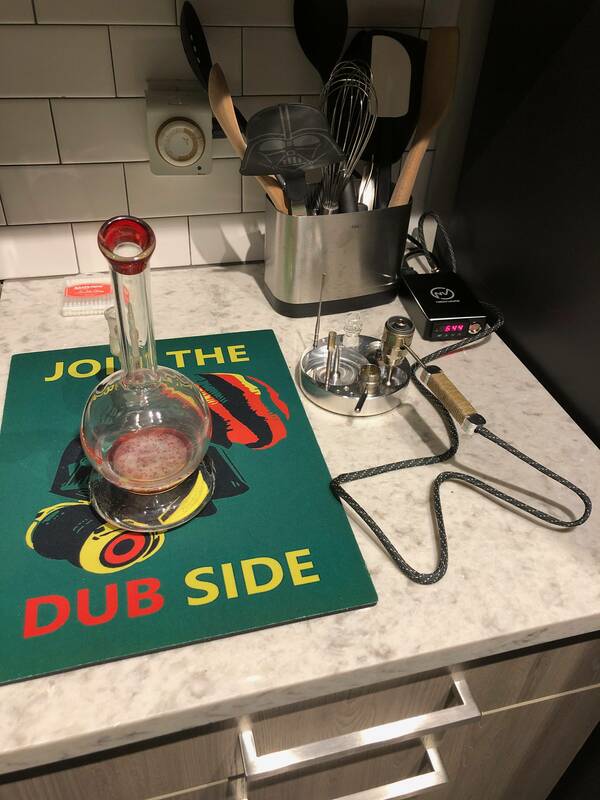 That being said, I don’t currently have a true desktop set up and while I await my g, if I go with a desktop, flavor/vapor quality/consistency what is your preference? flowerpot vrod or herborizer Ti?